People have always recognised having a roof over their heads as cause for gratitude because it offers a sense of refuge to those residing under it. Roofs are symbolic of safety and security, and being shielded from external forces or threats. Roofs are one of the most functional and fundamental features of a house. When building a new home or renovating an older one, deciding on which roofing route to take can be difficult and dull. Yet, while designing other areas of the home may elicit more excitement and imagination, the consequences of having a bad roof can be dire. You might dedicate hours to deliberating over the perfect paint colour, tile size, or carpet style, only to have your efforts entirely undermined by the repercussions of a bad roof choice. 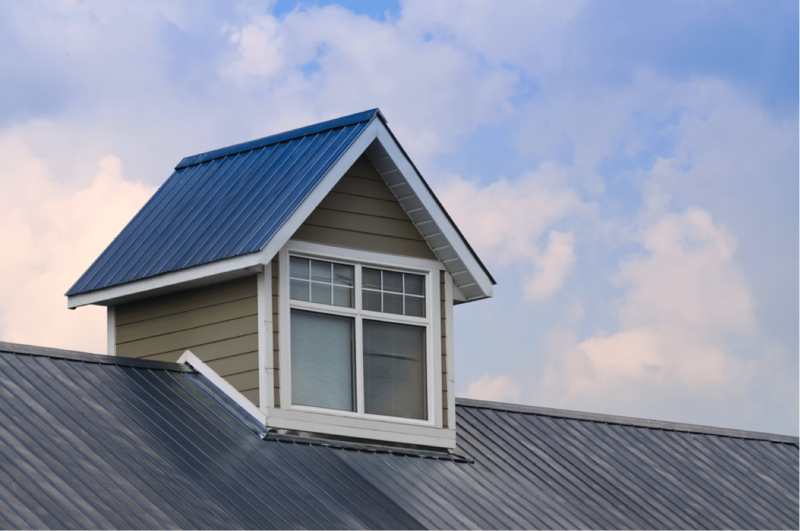 If you expect your roof to safeguard your home and loved ones from roaring winds and torrential rain for an entire lifetime, then you need to make your decision with that in mind; and that decision should probably be metal. Metal roofing is amongst the most durable of roofing options and can withstand all sorts of volatile conditions. It is incredibly long-lasting, with a predicted lifespan of between 50 to 75 years; with some vendors even offering a 40 or 50-year warranty! Doesn’t that seem a fitting choice for your forever home? Metal roofing sheets can be made from recycled materials and can go on to be recycled when replaced. This means there is little senseless waste associated with building a metal roof. Furthermore, while metal is an electrical conductor, metal roofs do not typically absorb heat but rather they reflect it. This means that – when installed correctly – a metal roof’s ability to reflect heat from the sun can actually reduce your home’s energy consumption and cooling costs. Metal roofing is very durable and can withstand extreme weather conditions such as torrential rain, gale forces, and even snow. Metal is also flame retardant and noncombustible. Its hardiness in the face of freezing cold and scorching hot conditions makes it a valuable addition to your home all-year-round. While metal roofing can be relatively costly in comparison to some other options (varying from moderate to expensive depending on the metal’s composition) you can be confident that you’ll receive a return on your investment. Given that metal roofs can last upwards of 70 years, the higher upfront price could still end up being more cost-effective than the cheaper alternatives. Furthermore, its energy efficiency can actually save you up to 40% on energy costs. The word ‘metal’ encompasses a lot of different potential alloys – such as copper, steel, aluminium, and zinc – each of which possess their own unique qualities and aesthetic appeal. Metal roofing is available in sheets and in shingles and can be made to resemble other materials or roofing styles as desired. Adding further to its versatility is the fact that metal can easily be painted to match your home’s style and colour scheme. Metal roofs are significantly less likely to require regular repair than alternative roofing options. In fact, it’s estimated that asphalt shingles require replacement three times as often as metal. Metal roofing can come with enamel finishing and rust-proof undercoats, which can further decrease the need for maintenance. Unlike common roofing alternatives, metal will not rot, split, crack, dry-out, chip, warp, or leak. It is also impervious to termite or rodent infestations. While shingles and slates require a lot of extra framing during installation, metal panels or sheets are quick and easy to install. While it’s still best to hire a professional roofing contractor to ensure the job is done right, you can rest assured that you won’t be left without a roof over your head for too long. This is particularly beneficial if you’re trying to complete ongoing construction during spouts of bad weather, or if your roof requires repairs while you are residing at the property. You might now be thinking that this all sounds too good to be true, but there’s no need for skepticism. While others might be under the misled impression that metal is a lightning-attracting-heat-retaining-noise-amplifying material, the reality is that it is a strong, safe, and sensible roofing option for your family’s forever home. 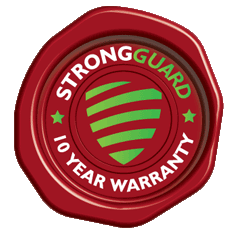 If you’re eager to get your metal roofing installation underway, contact the experts at Strongguard today.